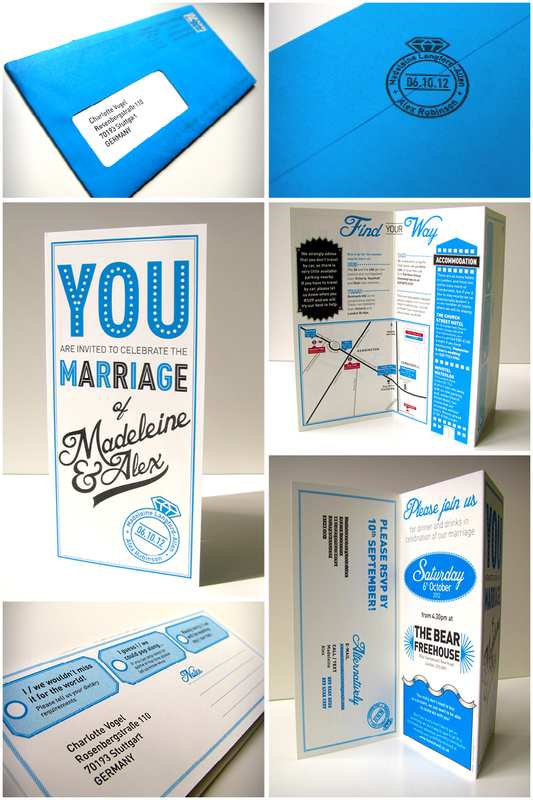 Wedding invitation commission plus a rubber stamp design. Printed on cream, 300gsm smooth uncoated stock. Set in DinPro and Blessed Day (adjusted and adorned by hand).